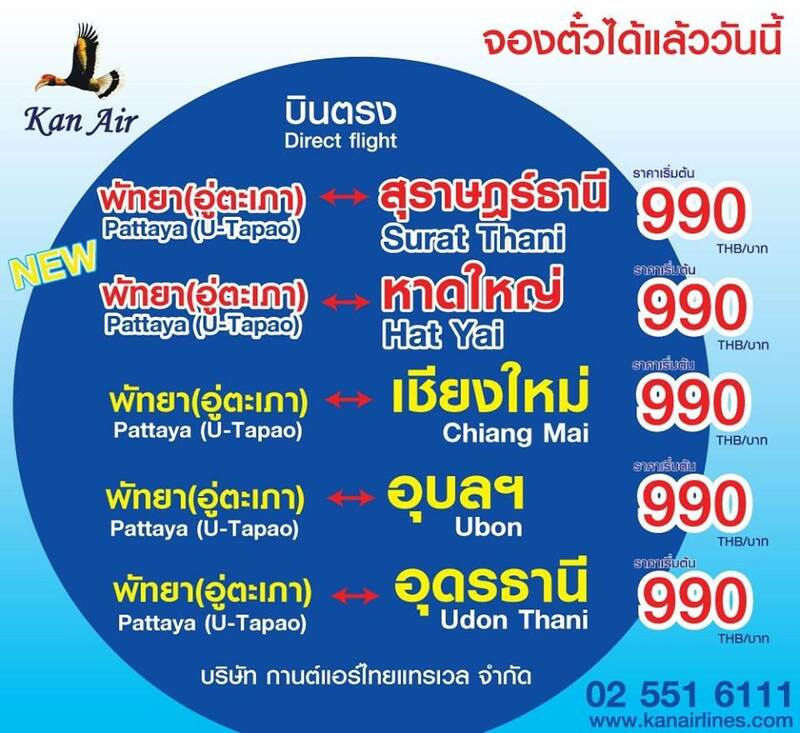 CNX to U-Tapao for 990.. Hmmm..
Also doing a handy CNX to Hua Hin one too..
Care to name the airline......? Is it not obvious from the Multiple Kan Air and kanairlines.com on the image ?? I can't see an image. really ?? Its there for me.. And obviously Bri..
Ahh maybe because its posted on ThaiVisa and maybe you need to be logged in on TV to see it..
Now I can see an image, but I am logged into TV too, in fact I have both the forums open in two different tabs as I type this, but I still can't see an image in your first post, all I can see is two lines of text, even if I try to select all the white space with the mouse, I only see text. But thanks for posting the pic. Very odd.. Quote the post and you should see the image URL.. Wonder why its not completely accessible. dawsey, Dkdude, slimbag and 2 others like this. Nope, I get a little "Broken Image" icon. Can be browser related. At work, IE, I got the broken image, at home with Chrome got the whole pic, and just tested IE at home, broken image again. Might as well be named "Con-Air"! There's no way that I'd ever book and pay this outfit for an advance flight. The ONLY way I'd even consider using them, would be to go to the airport in person, see the airplane, and pay at the ticket counter (if they even have one). What if they let you fly it?? Kan't see it using Safari here. It's a Google WebP image which is not natively supported by Internet Explorer or Safari.